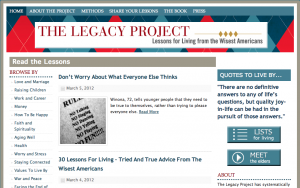 People from across the country in their 70s and beyond shared their wisdom for living. Their advice ranges from how to be happy on a day-to-day basis, the secrets to a successful marriage, tips on raising children, ways to have a fulfilling career, strategies fordealing with illness and loss, and how to grow old fearlessly and well. 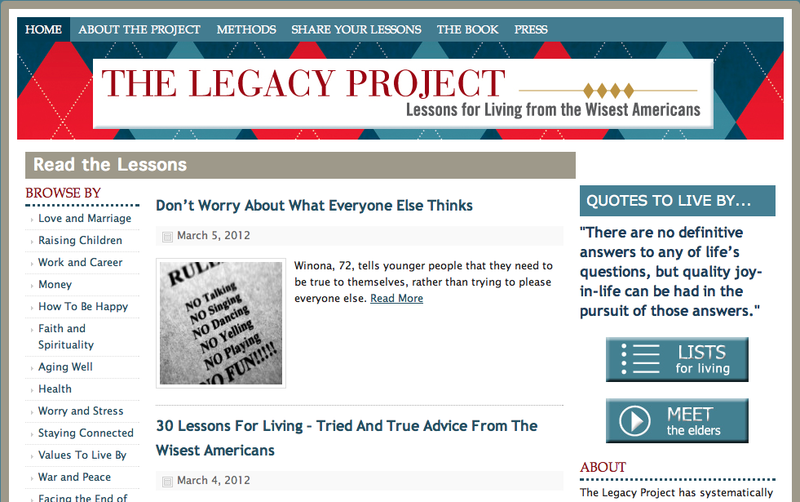 The book on the project, 30 Lessons for Living: Tried and True Advice from the Wisest Americans, was recently published. It was named to the list of “Best Self-Help Books of 2011″ by Library Journal.